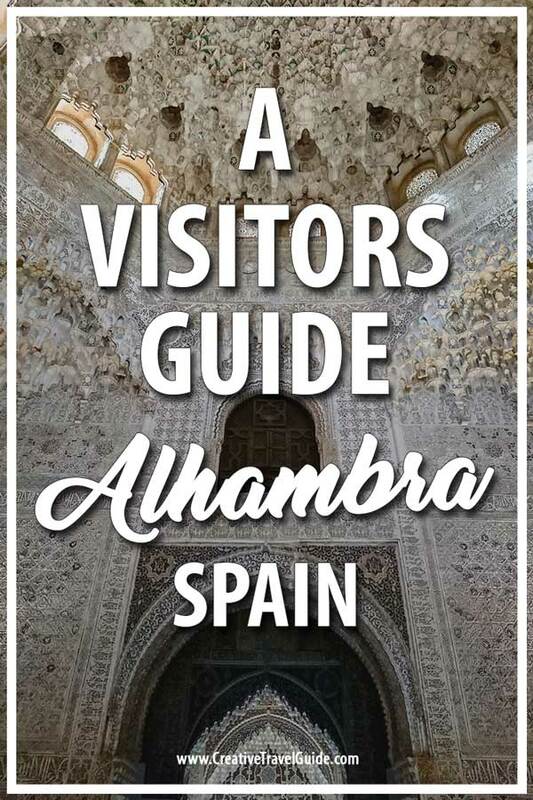 We are incredibly fortunate to have blogger Dominika sharing her travel guide on how to visit Alhambra, Spain – including the best time to visit Alhambra. Alhambra in Spain is a must-visit place during your travel to Andalucia. Southern Spain has a lot to offer and its cities will enchant you with the historical heritage. But Alhambra, an ancient palace and fortress, has a special charm. The palace complex of Alhambra rises above the city of Granada. Its surrounding intimidates with the majestic mountain chain of Sierra Nevada. The whole environment makes a breathtaking impression which makes the trip to Alhambra even more exciting. 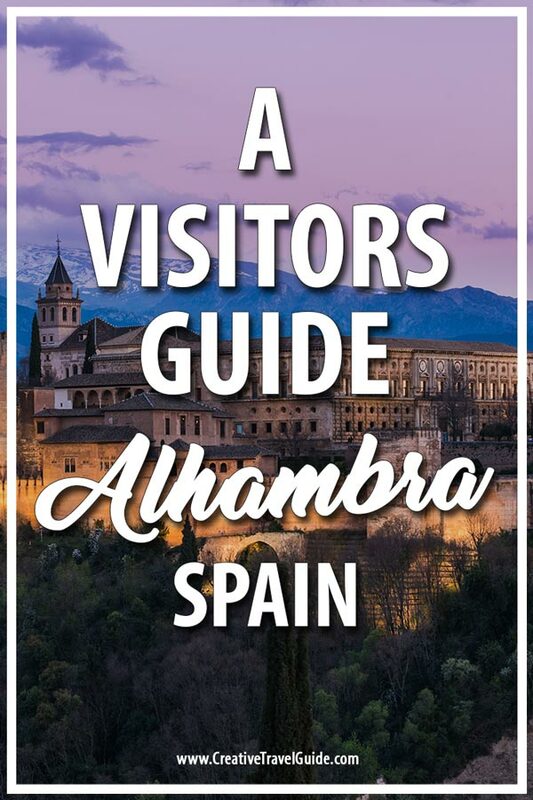 Why Alhambra is a must-see place on the Spanish map? 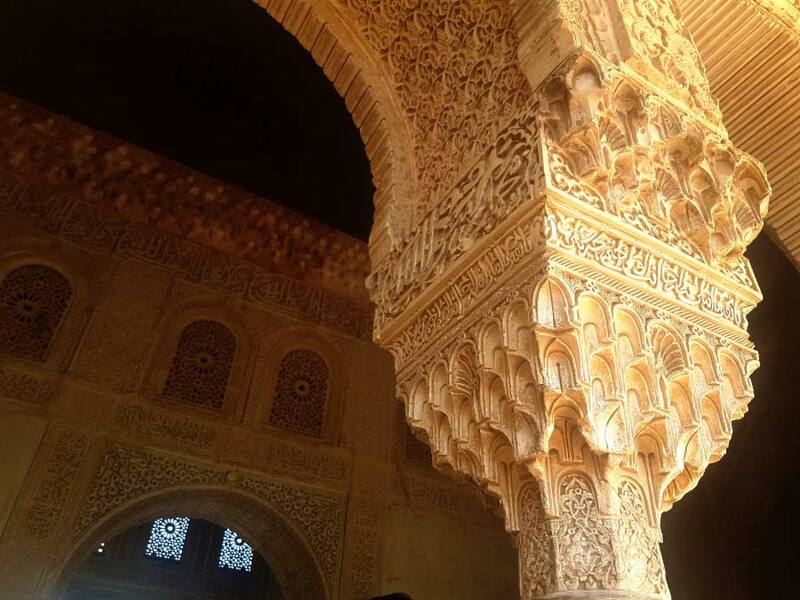 Alhambra in Spain is an example of antique Arabic monuments in Europe. Its first part, the fortress called Alcazaba, was built in the 9th century. But it was 400 years later, when the first king of the Nasrid dynasty, Mohammed I, decided to rebuild the whole place and turn it into the royal residence. 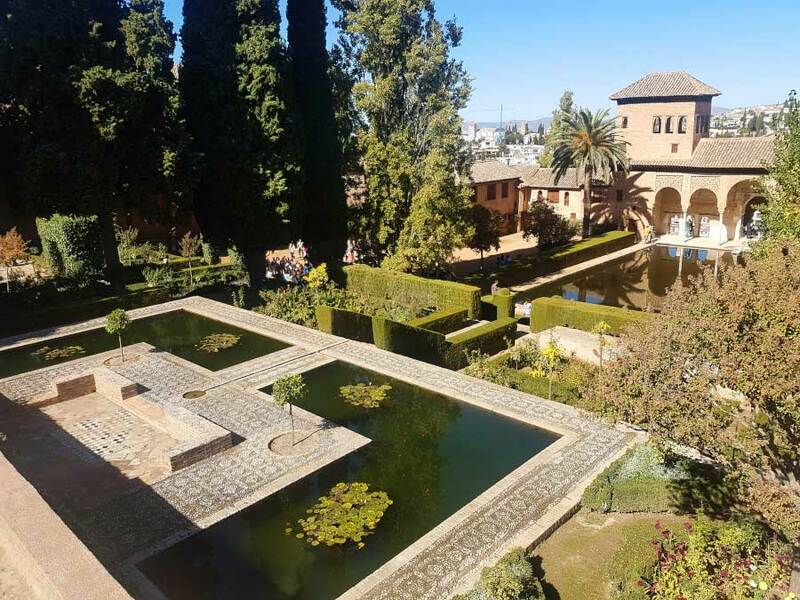 For the next centuries, Alhambra was evolving and blooming. The new buildings appeared, including the Watch Tower, the Mosque, public baths, the palace’s interiors, the wonderful Generalife, and the well-known Patio of The Lions, and much more. Fantastic gardens covered any available space and gained the fame of one of the most beautiful in the region. All of the walls, floors, and ceiling show dainty ornaments being the most recognizable details of the Arabic architecture. After years, Alhambra was overtaken by the Spanish Catholic monarchs. But even then, it was not destroyed, but enriched with a new building in a slightly different European style. The complex had even lived through times when it was completely abandoned. But the excellent restoration in the 19th century made a great job. Most of the ancient wonders have lasted until today or were reconstructed in an original way. Today, Alhambra in Spain is one of the most magnificent palace complexes in the world. It also has its place on the UNESCO World Heritage List. Since Alhambra is one of the most popular attractions in Southern Spain, crowds of tourists occupy it almost all over the year. But I would recommend visiting it in late Autumn or early Spring. Family groups usually travel during Summer, so the crowd could be a little bit during other seasons. But the weather will still be warm, but not too hot. So perfect for visiting the heritage places. Nasrid Palaces are the biggest wonder in the Alhambra complex. In general, this is the place where the royal family’s life was going on. Amazing rooms, wonderful patios, and breathtaking ornaments will delight your senses. Mohammad V who implemented the most important upgrades to the palace. He also added the most distinguished compartments, among other things the Palace of The Lions. This part of the whole palace was the most personal area of the family, where no one had the access, even the high officials. Christians’ times were the witness of building the Renaissance palace of Charles. The Spanish Emperor wanted to create a place which would satisfy all of his needs. He commanded to build the impressive palace next to Alhambra. This way he could admire all its beauty on a daily basis. 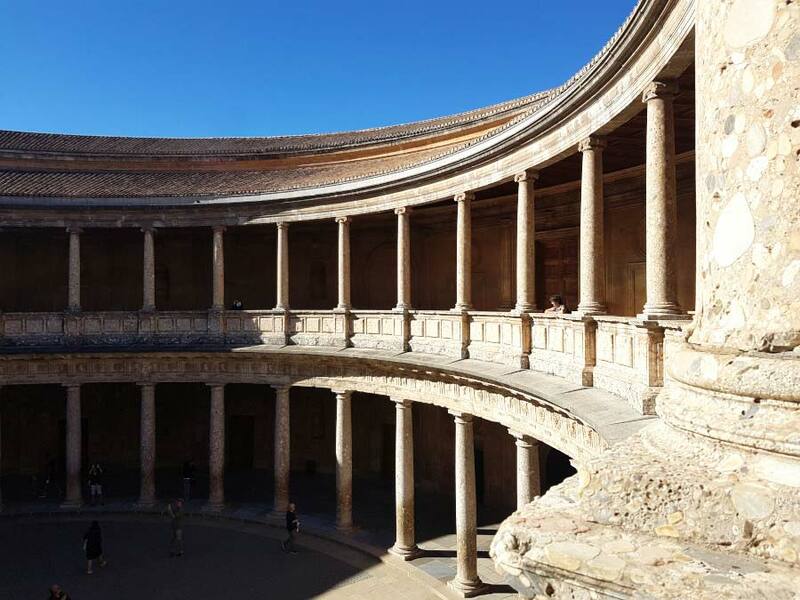 Charles V Palace is a huge square building with a circular patio in the center. The patio itself makes an incredible impression on any visitor. The Alcazaba fortress is the oldest part of the complex. It raised above Granada long before the Muslims came to the city. But later on, Mohammad I upgraded it and significantly improved its features. It also became the main royal residence until the palaces received their final touch. After this, the inhabitants were using the Alcazaba only for military purposes. Generalife area raises above the rest of the Alhambra complex. It consists of two groups of buildings connected to each other by the Patio of The Irrigation Ditch. The main purpose of Generalife was to play the role of king’s intimate residence. It became a place where monarchs had a chance to relief from the everyday official life. We can also see it in architecture details: the buildings of Generalife are not so rich in ornaments which remains a simple life and peace. Alhambra in Spain is a wonderful pearl of the oriental architecture in the European country. Because of it, thousands of tourists visit it each day. For this reason, the authorities decided to implement access regulations to save the historical heritage. There is a limit of people who could visit the complex each day. And even more strict limit covers the entrance to the Nasrid Palace area. For this last one, you can buy a ticket which is valid for the very specific date and hour. So the best thing you can do is to buy your ticket in advance through the official Alhambra website. On on the day of your trip, be sure to show up on the place early in the morning, since the queues might overwhelm you. But in the end, visiting Alhambra in Spain is totally worth it. 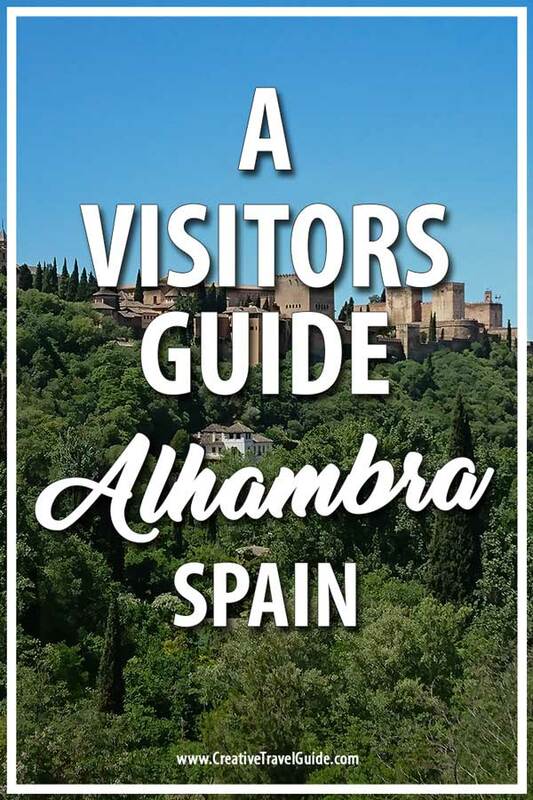 Thank you Dominika for a helpful guide to Alhambra! Dominika recently decided to start a life as a location independent person. She describes herself as a multipotentialite and aims to lead different ways of life. Be sure to visit her blog Sunday In Wonderland, where she shares her passion for looking for the beauty in this world. 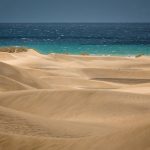 What is your favourite place to visit in Spain? Let us know in the comments below.